Finnish 2-8-0 No 1144, Bressingham, Sun 1 September 2013 1. 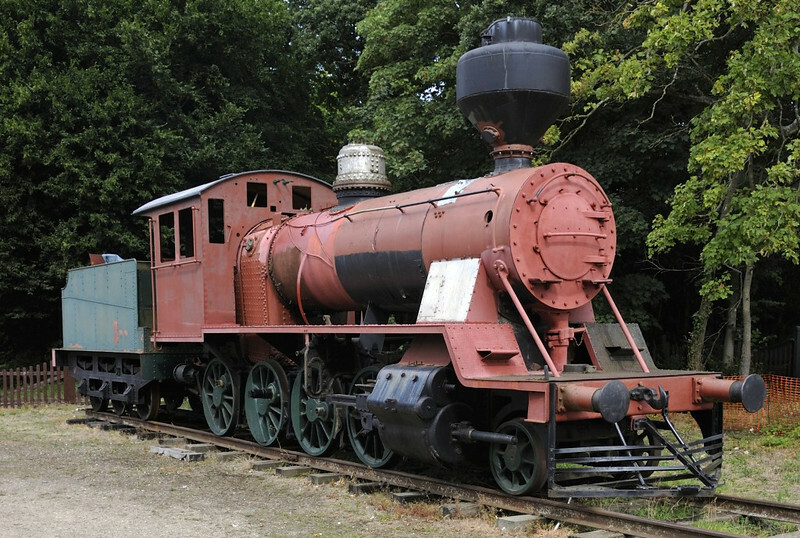 One of four 5ft gauge Tk3 class locos imported to the UK from Finland. It was built in1948, and burns wood, hence the spark arrestor.